At least 90% of our patients come from referrals who enthusiastically tell others about the results they have achieved through our personalized and individualized Health Improvement Programs. Our practice focuses on restoring the whole person. Your body knows what it needs, and our doctors can help determine what that is. They then create a program that helps you achieve the health results you deserve! What makes us different? How can we achieve such great results? How can we do this both efficiently and economically? A great number of people have benefited from our expertise and broad knowledge of natural & holistic medicine. We invite you to tour our new office, and discuss any health issues or concerns. Our doctors are passionate about helping others, and we look forward to working together to resolve any problems you may be experiencing! I was a busy three sport athlete in high school and was lucky enough to earn a full tuition baseball scholarship to pitch at Boston College in 1989 and later in my college career at Kent. Early in my high school career I was plagued with shoulder and elbow problems but I always knew where to get help. My pain was gone and my body was re-balanced usually after a treatment or two and I rarely had to miss any action. My doctor would also recommend dietary changes and whole food supplements to support my body as well. This was my first experience with any type of alternative healthcare and it worked for me every time! Needless to say I became a strong believer in these methods of treatment because I experienced such consistent results. When I reached my early twenties, I had the experience of taking care of my father, whose health was failing due to complications of diabetes. It was difficult geographically to get him to anyone other than a local conventional doctor and, at the time, I had only a fraction of the knowledge that I have now about the many effective drug-free therapies that could have benefited him. His condition slowly deteriorated into failing kidneys and congestive heart failure…all while on a steady regimen of 12 medications! This experience was the catalyst that began my quest in finding an effective approach to handling this and most other states of chronic disease. I believe I have found this approach. After hours upon hours of advanced clinical training with some of the best clinicians in natural healthcare along with clinical experience, I have accumulated quite a sum of useful knowledge and skill to help others, and I will continue to do so because it’s fun for me! One more thing: I always make a point of practicing what I preach. If I ever recommend something to you, be certain that I am following those same recommendations in my life. My wife, Dr. Tina St. John and daughter’s Samantha and Sabrina follow our suggested health philosophy as well. I was on the cross country and track teams in high school, and I ran Division I cross country in college at Cleveland State University. During one high school cross country season, I was experiencing low blood pressure daily. I felt light headed and tired every day. During races, my blood pressure got so low that I felt very dizzy and extremely fatigued. My performance that season was a blunder. My parents and I traveled all over Ohio in search of answers. After countless doctor visits, a referral to a top cardiologist, and taking heart medication, my condition did not get better and I was frustrated. At only 15-years-old, being on a heart medication just did not seem right to me. I was an otherwise healthy, athletic teenager, but I was confused as to why my health was deteriorating. A family friend referred me to a chiropractor who specialized in a muscle testing technique called applied kinesiology and was an expert in nutrition. His exam and methods of testing my body were so unique and eye opening! He knew exactly what I needed. He told me that my adrenal(stress handling) glands were stressed, and gave me a whole food supplement to help my body repair them. He gave my body chiropractic adjustments and prescribed nutritional supplements for a period of a few months. I never had those dizzy, tired, low blood pressure symptoms again! I was relieved that a natural, drug-free approach restored my health. Ever since that amazing first experience with applied kinesiology, nutrition, and chiropractic, I always went to my chiropractor if I got sick or hurt. From fevers to sprained ankles, I could get back to living my life in a very short amount of time after a visit to my chiropractor. My passion for natural health was so great that I went on to become a chiropractor who specializes in the same things that helped me so much—applied kinesiology and nutrition. My goal is to help people heal in a completely natural way so that they can live a life of wellness, not one of pain and disease. I believe that maximum health can be achieved by eating a whole food diet, supporting the body with quality supplement products, and receiving chiropractic care. I got healthy with this natural approach, and you can too! 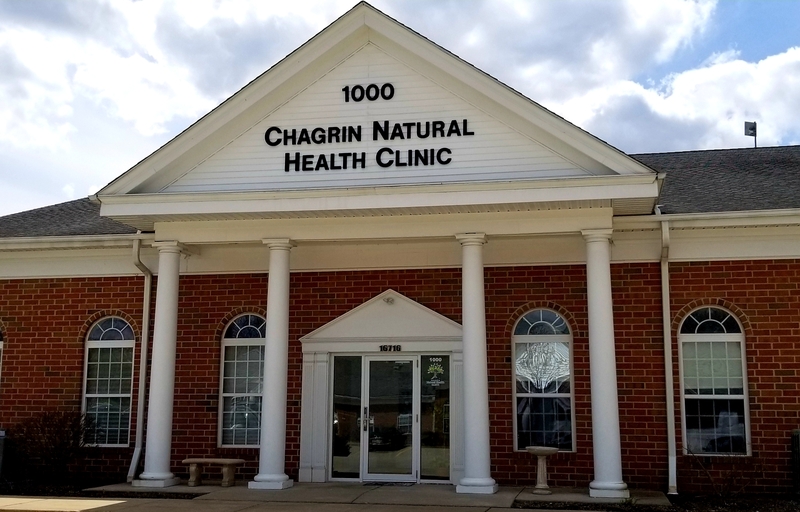 I warmly welcome you to Chagrin Natural Health Clinic and I look forward to helping you. After a year of on/off shoulder pain, a friend convinced me to try a chiropractor. The chiropractic care I have received from Chagrin Natural Health Clinic has been extremely helpful. 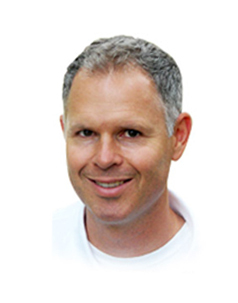 Dr. John St. John has helped align my neck, shoulders, collar bone and ribs, completely alleviating my shoulder pain. I highly recommend anyone looking for an answer to chronic pain to meet Dr. John St. John for an assessment. It is great to be pain free and to have a healthy plan moving forward!